Based in Gulf Cooperation Council (GCC) region, Eram Group is a diversified conglomerate mainly operating in Oil & Gas, Power & Utilities, Travel, Food, Healthcare and Automotive sectors. 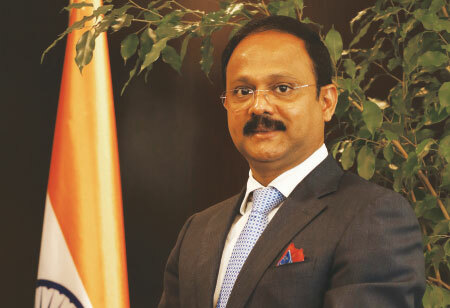 A business visionary, an entrepreneur par excellence and an ardent humanitarian, Siddeek possess over 20 years of experience in business and contractual activities. Safe drinking water and adequate sanitation are the basic right of every citizen and are vital for improving health and alleviating poverty. In adopting the Millennium Development Goals (MDGs), countries pledged to reduce by half the proportion of people without access to safe drinking water and basic sanitation by 2015. Al- though India has been striving to improve access to drink ing water, the country remains plagued by extremely low levels of sanitation. Inadequate access to safe water com- bined with poor sanitation and personal hygiene practices have detrimentally impacted upon the health and quality of life of millions of Indians, especially the poorest and most vulnerable.
" It’s high time we realize that great opportunities for advances exist that will increase the importance of sanitation technology in the 21st century by embracing hygiene, safety and sustainability"
Despite huge population, India has a major lack of accessible toilets both in private households and in public spaces. Roughly half of the rural population are estimated to lack proper access to sanitation. In rural areas, people often go to remote fields to relieve themselves. Even though the Swachh Bharat Mission Project is aimed at making the country free of “open defecation” by 2019, the country will need both behavior change and advanced sanitation technology to succeed. The country’s initiatives are headed towards ensuring safe and hygienic toilets for all people. This will be an important first step in a series required to make certain that the country has interventions covering all areas of sanitation. One of the most imperative challenges will be to construct community and public toilets. In most places, community toilets are indispensable because building individual toilets at home may not be realistic, for instance, because of lack of space. Also, they are essential for people without a house, such as home less people and migrant workers. The requirement for community toilets is already acknowledged as part of current sanitation interventions. With technology emerging as a cornerstone in all areas of water and sanitation initiatives, dirty public toilets may be a thing of the past. Unmanned electronic toilets have been revolutionising the way people perceive public toilets. 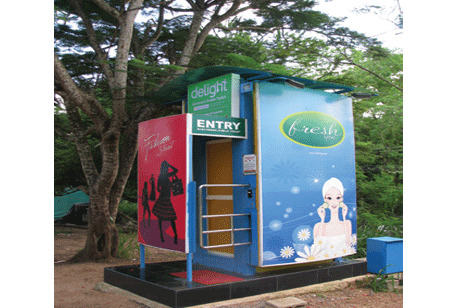 e-Toilet technology one of the major innovations in the public health, hygiene, and sanitation sector incorporates full cycle approach in sustainable sanitation by integrating convergence of electronics, mechanical, web-mobile technologies thereby controlling entry, usage, cleaning, exit, and remote monitoring capabilities. The Connected eToilet Infrastructure system serves as a platform to monitor the operations of eToilets via a web enabled control room. The health status of electronic toilets can also be monitored and corrective actions can be taken accordingly to ensure smooth functioning of the units. According to reports from WHO & UNICEF, only 39% of the global population (2.9 billion people) use a safely managed sanitation service, that is, excreta safely disposed of in situ or treated offsite. Be it rural areas or urban slums, 70% of households in India don’t have access to toilets. The consequences for women and children are even worse. Polluted water often leads to many child birth related infections and deaths. In this case, it is equally important to pay attention to environmentally-friendly set ups and local conditions while building toilets across the country. Onsite waste treatment technology using anaerobic biodegradation is changing the present scenario by providing a hygienic environment through the removal of contaminants thereby producing environmentally safer treated wastewater. These sewage treatment plants (STPs) are highly reliable and effluents cause no harm to the environment. It totally does away with manual scavenging and provides a comprehensive sanitation solution through its advanced technology. 21st century sanitation solutions which are effective and reliable significantly address the problems associated with inaccessibility of safe and clean toilets. These solutions create a greater impact on the lives of people by providing a safe and hygienic environment. As innovative technologies like eToilet systems offer highly advanced sanitation solutions, it is imperative to raise awareness among communities and other relevant institutions to make this widely available. Also, prolonged and sustainable utilization of such technologies is vital to appreciably free people from toilet related challenges and make their lives better. Technology enabled sanitation solutions at many levels not only ensure hygiene and safety but also conserve water and power through its advanced technology. As severe pressure is placed on the planet's restricted water supplies, businesses are turning to advanced technological innovation. New and rising inventions should perceive human civilisation through the 21st century and, with any fortune, the next 10,000 years. The long lists of innovations in water technology have enabled water conservation and human development in a large manner. Waste water treatment plants and sophisticated networks today secure us with the elixir of life and technology. It’s high time we realize that great opportunities for advances exist that will increase the importance of sanitation technology in the 21st century by embracing hygiene, safety and sustainability!